While Winx may well be a thorn in the side of rival trainers I think I speak for every one of us in acknowledging she is nothing short of amazing. But it’s not only the mare which has been amazing but also those around her through what has been a remarkable career. It’s hard to get your head around the magnitude of getting a horse to the races and winning 32, and most likely 33 races in a row. She’s just different to the rest though and without question is one of the greatest we’ve ever seen. There are so many things which can go wrong, so to get a horse to the races on so many occasions and for her to race at such a high level continuously is something we may never see again. Like most who are closely involved in racing I can’t help but turn and look every time she goes past. Whether it’s when she’s having a track gallop or on race day, she just commands your attention. So hats off to Team Winx, and like most I hope she closes out her career with a win, she and those around her have done so much for racing over the past few years so a full house at Randwick will be a fitting finale for the great mare. Our stable won’t be lining one up against Winx but we’ve got a couple of decent fillies going around in the Percy Sykes Stakes with Anaheed and Cheer Leader. Anaheed was good in the Golden Slipper and she has come through the run well, plus she’s won two races at Randwick so that ticks a few boxes and she should be hard to beat. With Cheer Leader she comes from a different angle having raced in Melbourne and her last start win at Moonee Valley was good where she showed plenty of speed and was very tractable. She worked great on Tuesday with Anaheed and there was nothing between them. There’s a bit of timing about Cheer Leader and we are looking forward to seeing how she measures up against the better fillies. In the opening event we have two nice colts in Autocratic and Extraordinary. 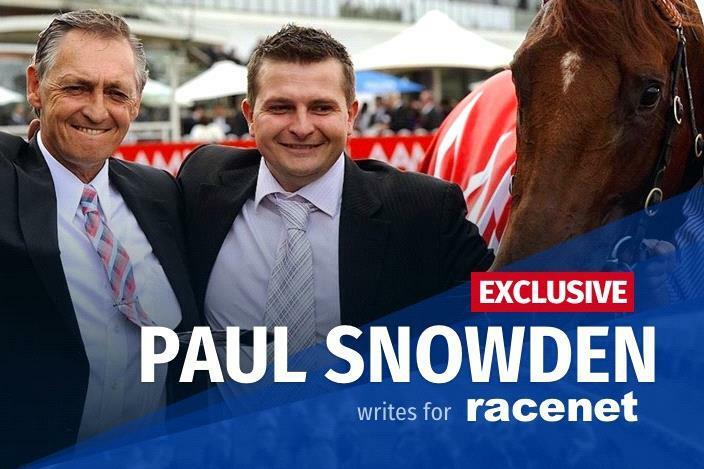 Autocratic races like he’ll lap up the 1600m off the back of his past two runs in the Pago Pago and the Baillieu and, in what looks an open race he should be right in the finish. Extraordinary comes off a nice first-up run in a Newcastle maiden which we won with Bullet Fly and I see this horse relishing the trip. He’s not at the elite level yet but all the same it wouldn’t surprise to see him run really well at good odds. Napoleon Solo and Signore Fox represent the stable in the second race and they are both not without a chance of getting into the money. Signore Fox has been treading water waiting for a better track but he was good second up on a heavy at Warwick Farm and the horse is going good. He’s a black type quality horse and hit the line strongly over 1200m at Warwick Farm so the step up to 1400m should suit. Napoleon Solo has been earmarked for the Brisbane winter and the Derby up there and he kicks off his campaign here before going north. I wouldn’t be discarding him on Saturday though as he’s a lovely horse and he’s there to run well. Our only other runner at Randwick is Quilista in the last and while she’s big odds don’t discard her. She has her first run for the stable after being prepared by Darren Weir and more recently Justin Warwick, who part owns the mare and initially trained her in Perth. I would have loved to have had her a few more weeks but all the same Justin stressed she’s better on her Sydney leg and she has won two-from-two racing clockwise, including this race last year. Her recent trial was good, and she has come on from that. At Caulfield we’ve got Hightail and Yulong Ready in the opening race and certainly Hightail faces an easier task than his past couple of runs. He was third in the Magic Millions and resumed in the Pago Pago when midfield on the heavy track. Unfortunately he has drawn the outside gate but if Luke Nolen can get him into trailing position he’s going to be strong late. Yulong Ready has only had the one start and was good when second at Bendigo and that’s the best he’s performed mentally as he’s very much a work in progress. Yulong Yuheng runs for the stable in the seventh race and he’s a horse with talent, but he needs to adapt to our rhythm of racing. He was having his first Australia start when he ran midfield at Flemington but he went too keen. If we can get him to settle a touch he will win races. We’ve also got Spin going around in the fourth race at Eagle Farm and it looks a perfect race for him, it’s a class 3 and he’s clearly the top-rated horse yet gets in with the bottom weight. He was unlucky when third at Randwick then never had the best of luck again last start in a class 6 at Eagle Farm and has been working well since. He’s enjoying himself up there and everything points to him being the one to beat.